Can someone direct me where to purchase PZTA06? Tried Mouser, Digikey and Newark, no luck there. Or some one can spare something like x10 or x20. I can make payment using Paypal. Hey MPI, it's been awhile. What's up? Hi All what is the difference between Carbon.v5 and Carbon.v6 ? So am planning to make one on my own in near future and here is what I have gleaned till now. 3. 2 KGSSHV Carbon boards. 1. 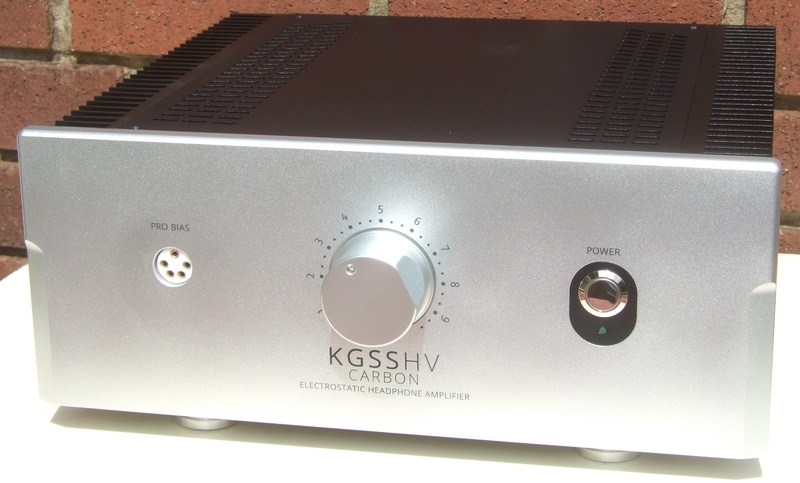 It looks like KGSSHV is a balanced input amp. What will it require so that I can run it unbalanced? 2. This image here: https://www.head-case.org/forums/uploads/monthly_2015_12/IMG_1617.JPG.8b2de600707a2057508ca7688eae8dd6.JPG has what it seems like 7815 linear regulator and no GRLV so is GRLV really required? Ignore the shoddy wiring(will not follow it). 3. This seems to be using a GRLVDual of some sort:https://www.head-case.org/forums/uploads/monthly_2016_04/571e4255cfd2c_P_20160425_2358271.jpg.ee96baecdcf1a5953c86c401e05d2bdf.jpg is it as good as using 2 GRLV? 4. Can I keep my ODAC amp in same enclosure maybe shielded ? Is ODAC good pairing? 5. What are Opto servos? 6. Lastly a loaded question. What will be the best way to make GRLV and GRHV so as to use least amount of components and not sacrifice lots of quality? It seems there are various designs of the PSU and I would like to save some money if possible. I will have more question as I understand it more about it. Also has any one looked inside STAX D10 ? that thing looks neat being so small. You will need 1 x HV board with bias section and 1 x HV with +/- 15VDC low voltage section. If you populate +/- 15VDC low voltage section on one of HV boards, you don't need separate GRLV board. If you go with separate GRLV board (more luxury solution), you can use either single GRLV board producing both positive and negative 15VDC, or split boards, each producing +15VDC and -15VDC. Also, if you go with separate GRLV board, you can do with 2 x HV boards with bias section (saves money if you order boards at PCB house). You need to populate bias section on one them only. 1. 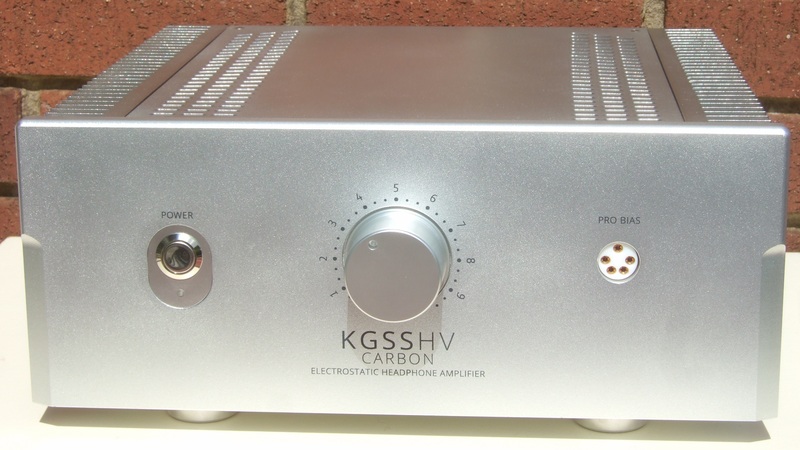 It looks like KGSS﻿HV is a balanced input amp. What will it require so that I can run it unbalanced? Nothing required. It will accept unbalanced input as well, sound volume will be less. 7815 is noisier than GRLV. GRLV presumably produces cleaner +/-15VDC. Piece of advise: go with amb's Sigma22 for low voltage. Much cheaper than GRLV to buid. That is single +/- GRLV. You can go with split positive and negative GRLVs, as mentioned above. Not recommended IMHO. What if you need to upgrade your DAC in the future? Not needed for Carbon (=no tubes). Leave unpopulated. Use GRHV onboard low voltage section, if you want to cut costs. Or use Sigma22 instead of GRLV, and order 2 x HV bias boards instead of 1 x HVbias + 1 x HV w/low voltage. Really not many options to save money. Most expensive parts are main filter caps (40 USD/ea, and you need 4 of them), balanced potentiometer of your choice, transformer(s) and casework. None can be dropped out. I will chime in with a few thoughts to go along with Helium's. 1) Just use the Low Voltage section that is included on one of the GRHV boards. No need for a separate GRLV. You will notice there are "left" and "right" GRHV boards. One has the LV +/-15VDC on it (so no need for GRLV) and one has the 580V bias for the headphones. Simpler is better, and it makes the case less crowded. 2) Definitely do not put the ODAC into the case. Not a noise issue so much as a future proof issue. And on that note, I also recommend going with a quad volume control and using balanced connectors on the rear of the unit, and wire it to be balanced. At some point, you will upgrade to a balanced output DAC (like the Shiit Gumby, which I have). You can also add RCA jacks and a switch to ground the unused balanced input for your ODAC. 3) The Carbon does have opto servos in order to maintain proper voltage differential on the outputs. Not necessary for this very stable solid state amp, but very little cost to add it so I recommend populating the servos on the Carbon boards. 4) When building the GRHV boards, please carefully read the other threads about how to work with these very high voltages. Clean up the flux with electronics grade alcohol. Buy parts ONLY FROM REPUTABLE DEALER!! I tried buying parts from eBay at one point and it was the stupidest thing I ever did. Mouser or Digikey are best. These voltages can hurt or kill you. Treat them with respect! For each channel. from the amp’s input female RCA panel jack, connect the center positive signal to “I +” on the KGSSHV Carbon PCB’s screw terminal block, and “I -“ connected to GND. The Carbon’s differential input circuit will do the rest. As Helium noted, there will be less volume available. Around 6dB loss of sensitivity. Shouldn’t matter at all. 4) When building the GRHV boards, please carefully read the other threads about how to work with these very high voltages. The most important advice. All the details about this amp are in the thread. Reading the threads with attention requires a little time but it solves most doubts. Thanks for advice, will definitely be careful. Am still reading about it a bit more. Have just finished reading this thread. My ODAC is a piece of garbage. It clips loudly, audibly, and obnoxiously when macOS system volume is set to >50%. Maybe it's broken. Not one other DAC I tried does this, at any price point. 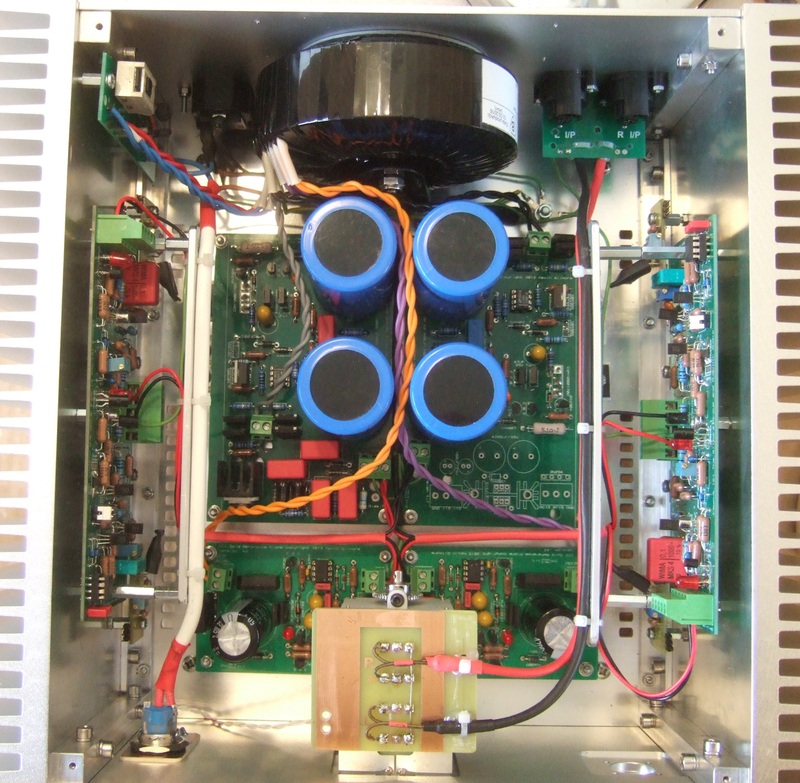 If you want an integrated DAC+amp solution for your Carbon, you're much better off with Soekris boards. Still not recommended: (1) Carbons run somewhat hot, and I don't know if it'll take much to fry the DAC boards, (2) you'll have a much more complicated internal layout, (3) you'll need a larger case, (4) you'll have a much more complicated power supply setup to deal with. General piece of advice in addition to what others have already said: get some experience drilling and tapping external heatsinks. I destroyed the first one I worked on. I'm considering building an electrostatic headphone amplifier and am looking for suggestions to the choice of amp, especially with a consideration of the availability of pcbs and components. I have reasonable dynamic open ear headphones and dedicated amp but would like to step up to an end-game system. I have seen pcbs for a 'KGSSHV Carbon' available on Ebay and Aliexpress but cannot find schematics available anywhere. All links to associated files are a dead end. The only other available information are photos of other peoples builds. Could someone participating in this forum topic make the files available to me or point me in the right direction? I'm new to this website so apologies if I've missed the obvious downloads page. Not working at the moment so have plenty of time. I've been into electronics for many years and do not envisage any problems with a DIY build due to lack of personal skill or experience. Schematics and other files please, comments welcome. Thanks. I am not sure what you are looking for, but here is a bunch of files that I had collected when building my Carbon. I think the BOM is on the first page and that link is still active, but I have included the version of the BOM I used based on Mouser availability. Also, note that there are various revisions of the board itself, and some components might change. This is the amp. You will also need power supply. I recommend the GRHV with its onboard LV supplies for simplicity. And don't kill yourself. Working with these voltages is dangerous and lethal. Could someone please make available the power supply schematic diagram for the KGSSHV? Planning to use the GRHV pcb although I understand this pcb may be used for various amps by selecting different components. I do believe i have the BOM for it but would like to see the schematic to evaluate the design with a view to building. The link show for the file does not work, surely someone has a copy they might post? I have the amp schematic thanks to user Blueman2. Kevin retired from Northwestern a year or so ago, so none of those links are active anymore. Normally, the stax mafia circuit board thread, which is a sticky here, is where you find this stuff. PS: Found that TDK 4CP2500 are great, but where to buy ? 10K. 100K would be completely unsuitable. Since this is a balanced input amp, you would need the 4CP. Kevin's amps, particularly the higher end stat amps, aren't a project you want to cheap out on. I agree the Alps RK50 is expensive though. A good quality/price option is the Alps "Blue Velvet" RK27. Lately balanced Alps are difficult to find. RK27 are sometimes prone to imbalance at low level. Despite this, the overall performance is good, especially considering the price. Stax uses RK27(customized), too. Yes but in low levels I don´t think it's worrying. I have measured some RK27 (original of course) and in the levels to which I usually listen to music there is no difference between channels (a few milivolts max). Other way is to use two stereo pot. (like some Stax amps) in case we worry too much about the balance. Here is my Carbon build. The layout is a lot like the KGSShv Cube I made in 2014 although this is bigger and easier to assemble. I have dubbed it the “Chunky”. I have two versions, a black/silver and an all silver and am building two of each. The Chunky measures 340 wide X 310 deep x 138 high, plus feet and weighs about 10 kg. As I wish to concentrate on other projects I do not intend to make more amplifiers for other people. I am intending to do a KGBH for myself. I have enjoyed the challenge over the last few years and have also met some great fellow head-cases. The KGSShv/KGST/Carbon KG designs I have built have all worked as intended and been easy to set up and all have given great musical pleasure. This is a sign of a great designer and I would like to note again my gratitude for the great gift given to this hobby by Kevin and Birgir, Kerry, Joamat, Jim L and all the others for their contributions and inspiration. I am new to this thread, but wanted to comment that this is one of the nicest builds I have ever seen. It looks like a boutique Japanese high end amp, and thats a compliment. I hope that I can come close on the build I am contemplating.